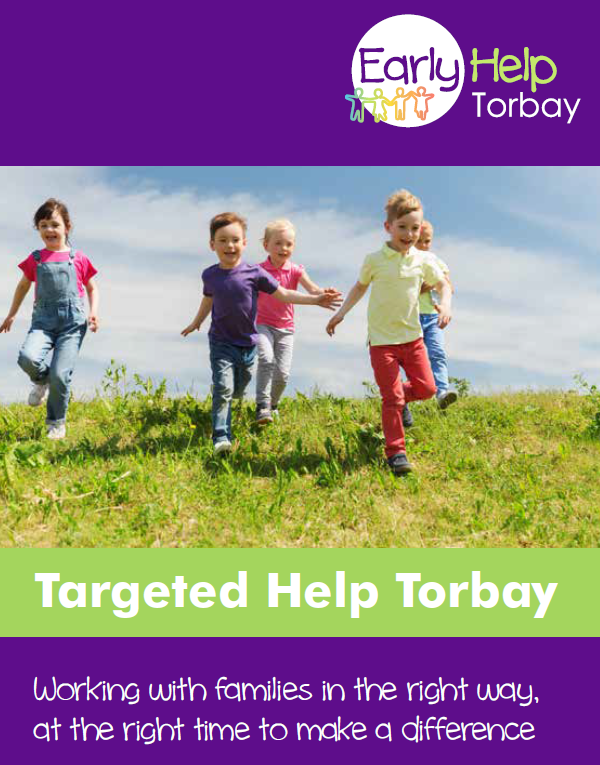 The Targeted Help Service is part of Torbay Council's, Children's Services. The Targeteed Help service helps children, young people, their families and professionals through the process of getting the right help to meet their needs. TheTargeted Help team take all calls/referrals and ensures that Early Help offers the right level of support. Each client/referral may be directly allocated to a service, or may go to our Targeted Help Panel. This uses the knowledge and experience of a range of services to decide which service should take the lead on the case, and deciding who will make contact with the family to arrange a Team around the child meeting. At this meeting, all relevant people and services will work together to draw up a Single Plan, so the family can get and feel supported. Please see website link for further details.